In this educational section we are going to cover some most important questions based on Medieval Indian History i.e. 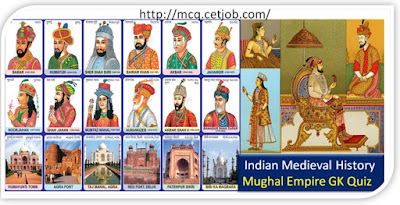 Medieval History: Mughal Empire MCQ. These questions is very worthful for those candidates who want to crack various entarnce exams like bank exam, police test, Vyapam, UPSC, SSC, PSC, Universities entrance test etc. 1. Ramayana was translated into Persian at Akbar's court by whom? 2. Who was the master of imperial mint at Delhi during the reign of Akbar? 3. Which of the following temples were destroyed by Aurangzeb? 4. Who had succeeded Mir Jumla as governor of Bengal in the reign of Aurangzeb? 7. Which of the following statements are correct regarding Aurangzeb? 8. In the war of succession who had supported Aurangzeb? 11. Which one of the following traders first came to India during the Mughal period? 12. Which Sikh guru was executed by Aurangzeb? 13. What is the full name of Aurangzeb? 15. Which of the following Mughal King reign during the large scale famine in Gujarat and Deccan? 18. Which of these is not correctly matched regarding the reign of Shahjahan? 19. Which of these is not one of the titles adopted by Aurangzeb? II. He banned slaughter of animals on two days in every week viz - Sunday & Thursday. I. Jahangir claimed that he could distinguish the work of different artists in a single picture. II. Painting was at its climax during his reign. 25. Which of the following are true about Jahangir? 26. Who had completed the annexation of Ahmednagar? 27. Which of the following statements are correct about Jehangir? 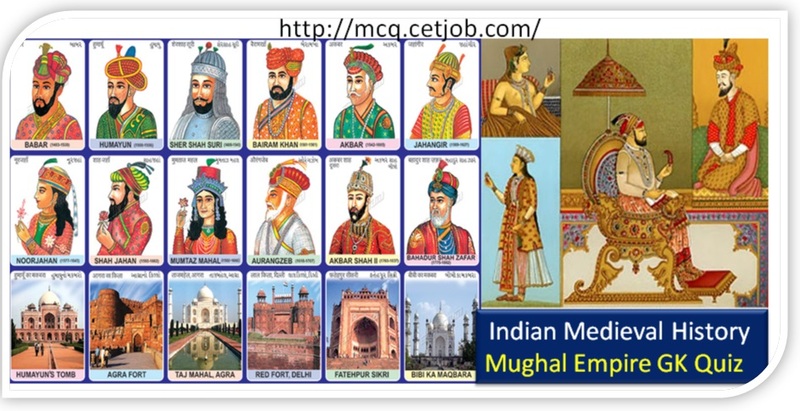 28. Who among the following Mughal Emperors was half Rajput?